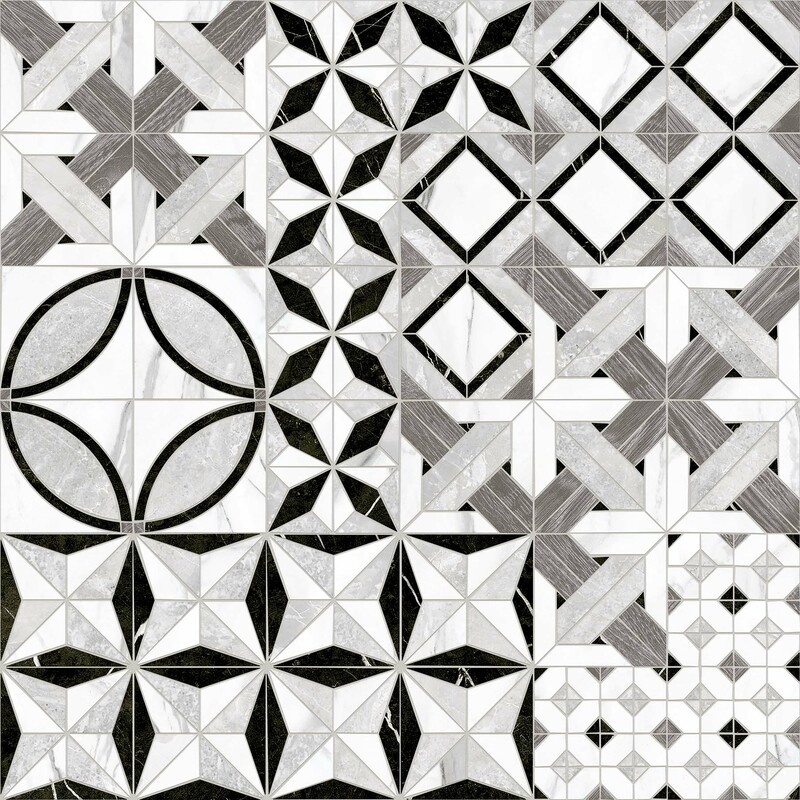 Create a majestic monochrome look with the Elgin Matt White Marble Decor tile. 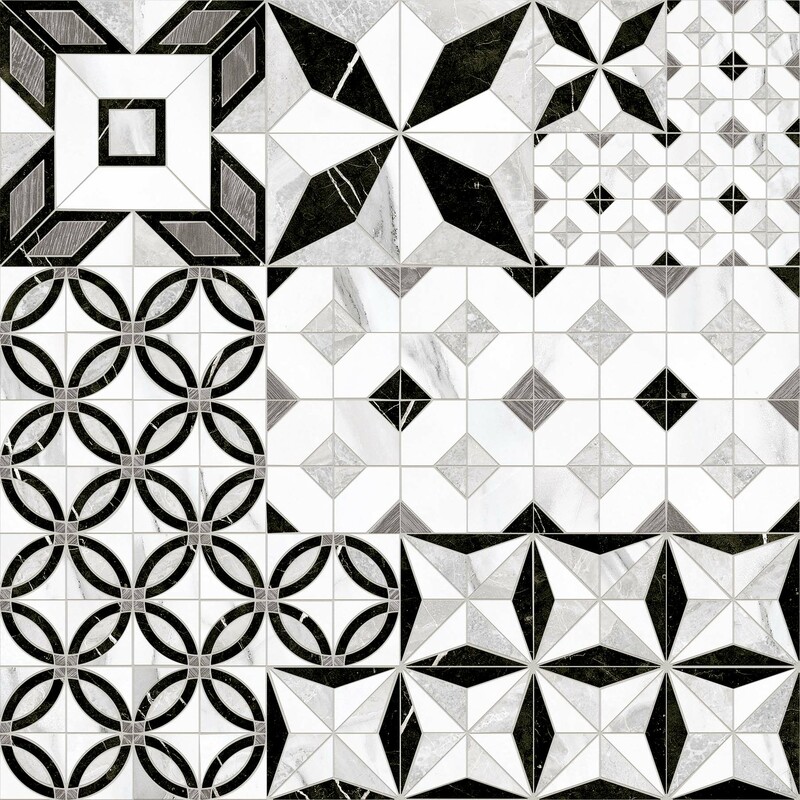 Featuring up to 25 random designs in black, grey and white, this floor tile is brimming with geometric style and striking contemporary appeal. 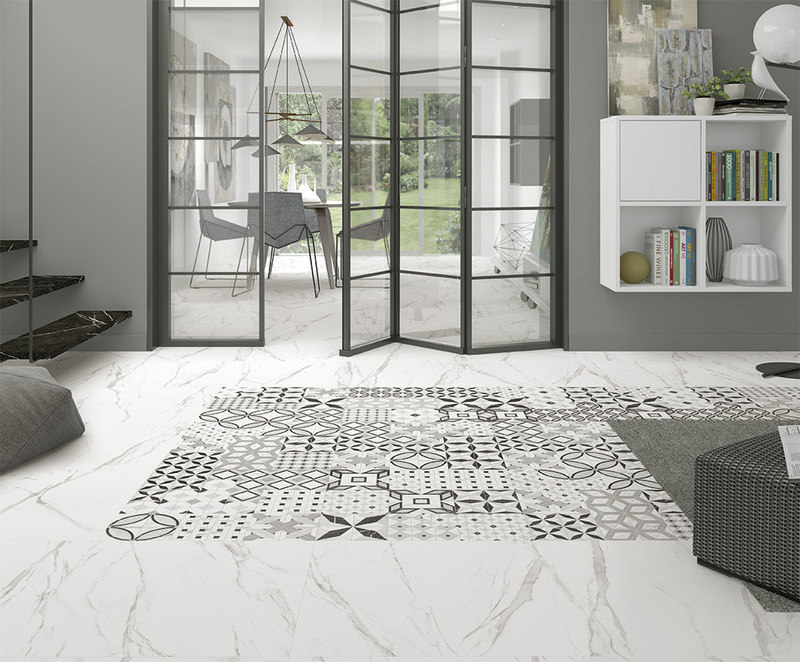 Formed from porcelain with a modern matt surface, this tile is designed for very small grout lines just like marble, so you can achieve a clean and seamless look. 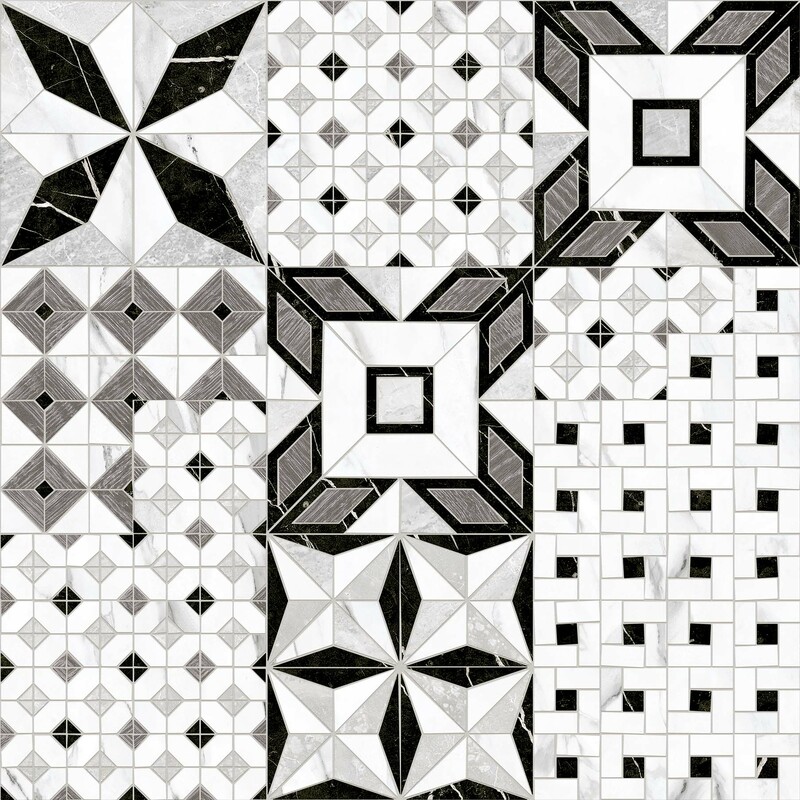 When inserted into a scheme or combined with the Elgin matching plain tile, this design will create an eye-catching motif on floors that will define any space. 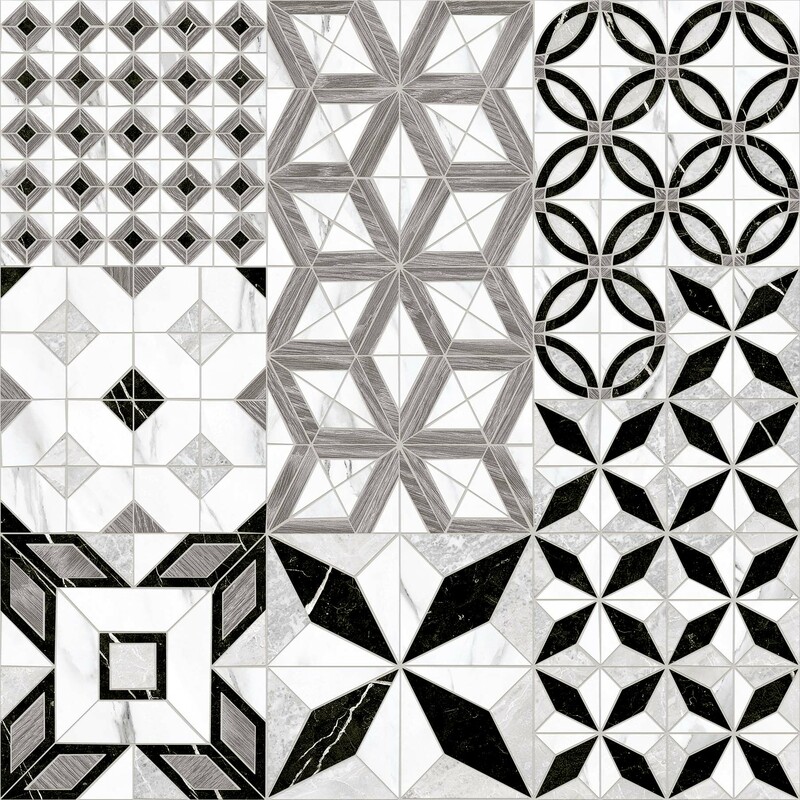 Images show a small number of the random patterns available.